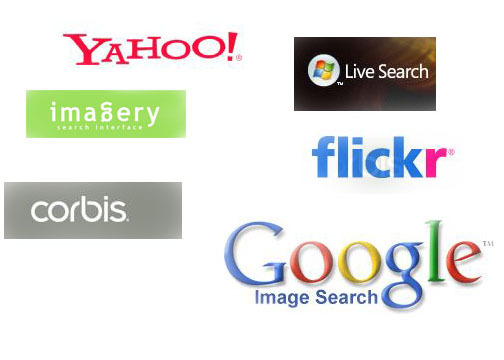 When we want to search for an image or picture, most of us normally use Google, Yahoo! or Live Search. However there are plenty of lesser known image search engines out there. Digitizor pits seventeen image search engines against each other to find out the best search engines for image. The result we got were pretty amazing. Read on to find out more. The test we have designed consists of three parts - Search Options, Presentation and Performance. Search Options is given a weightage of 15%, Presentation 10% and Performance 75%. Search Options is primarily designed to test various advanced search options. It is sub-divided into Sophistication (50%), Adult Materials (25%) and Filtering (25%). Sophistication as the name suggests is supposed to test the sophistication of the search engine. It is made up of Boolean(50%), Phrase(25%) and Truccated(25%). Boolean tests the ability of the search engine to understand simple boolean expressions like AND, OR. Similarly Phrase tests its ability to understand simple phrases. And, Truncated test if the search engine can understand a truncated word. Adult Materials tests the efficiency of the search engine to filter out adult contents. Lastly, Filter scores are given based on the ability of the search engine to group images acording to certain criteria like size, file type etc. The Presentation scores are given based on how the search results are presented to the user. There is no quantitative way to give this score. So this is more of a qualitative evaluation. The performance of the search engine in actual is really what counts in the end. So, the Performance test is given the maximum weightage. It consists of three search tests - General Term, Specific Term and Ambiguous Term. All carry equal weightage. In the Genaral Term we test the search engines's performance when we search for a general term. Similarly we search for Specific Term we search for a specific term like a biological name of an animal, a person etc. Abiguous term search uses an ambiguous term. each of these three tests is has five parts - Number of Hits(10%), Relevancy(40%), Quality(30%), Currency(10%) and Duplicates(10%). During the testing we made a number of interesting observations. In the Boolen test, only seven search engines could manage a score of 5 or above out of the 17. As would be expected, Google, Yahoo! and Live managed good scores. The Phrase test turned out to be the toughest as the highest score was just 2.5 out of 10. Most of them managed to do well in the truncated test. The biggest surprise from the Search Options test was Imagery, which managed a score of 7.38 for this section and came second ahead of Live and Yahoo!. Flickr, the inclusion of which, along with Photobucket, many will not like, managed a Presentation score of 9.66. Overall, most of the search engines managed good score. The General Term Performance test was a complete knockout with Google Image Search notching up a score of 8.96 and blew away the entire competition. It was a bit different in the Specific Search section. Google still managed the highest score with 9.06 but Corbis and Imagery really gave it a run for its money with scores of 9.01 and 9 respectively. Corbis did to the Ambiguous Term Performance Section what google did in the Gereral Term Performance. It scored highest with 8.55. It is no surprise that Goole Image Search managed the top spot with consistently good scores over all the sections. However the biggest surprise were Imagery and Corbis which beat the likes of Yahoo! and Live to cling on to the 2nd and 3rd spots respectively. Related: How to use Google image search for finding images that contain only a particular colour ?